The Fender Amp Mug is an officially licensed Fender product. It’s an oversized ceramic mug that will help keep your drink warm. It features the shape and design of the original Fender amp. …This slick Fender Amp Mug is great for lovers of rock n’ roll! It’s also perfect for budding guitar players, Fender fanatics, and music fans in general. Fall head-over-heels in love with Treetopia’s 7-foot Knocked Upside Down Christmas Tree. It features a full shape and 100% classic PVC needles with hand-strung clear lights that cast a warm glow during the holidays. Its unique shape makes it a whimsical backdrop for your beloved ornaments while providing ample space for presents. The tree comes in either a trimmed or untrimmed version. 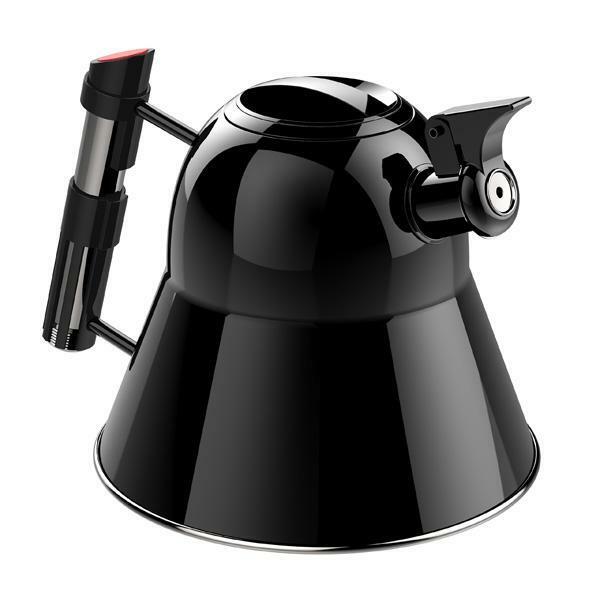 The Fowndry is featuring a stainless steel Star Wars Stovetop Kettle designed to resemble the silhouette of Darth Vader‘s iconic shiny black helmet. 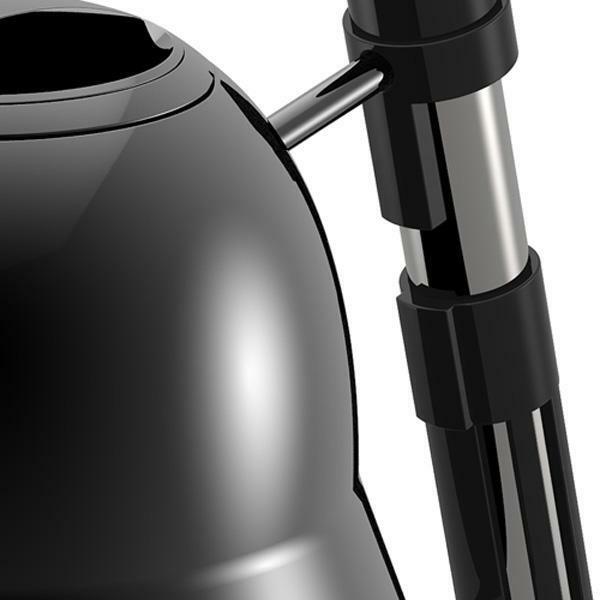 It also features a handle made out of his lightsaber hilt. 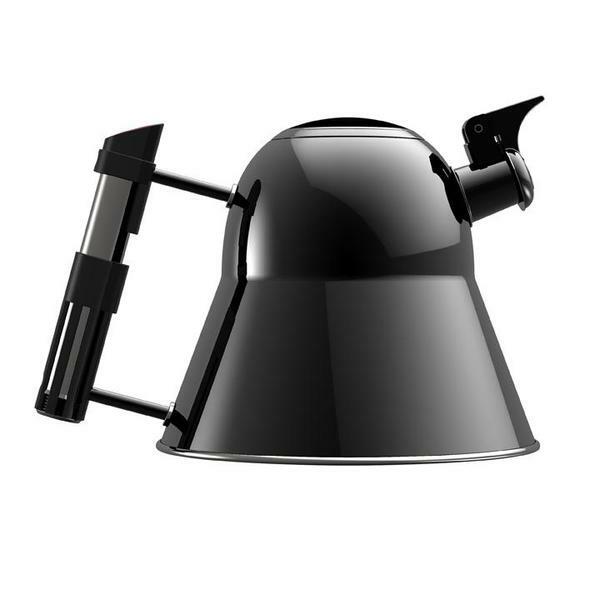 You can order the kettle HERE for $70. 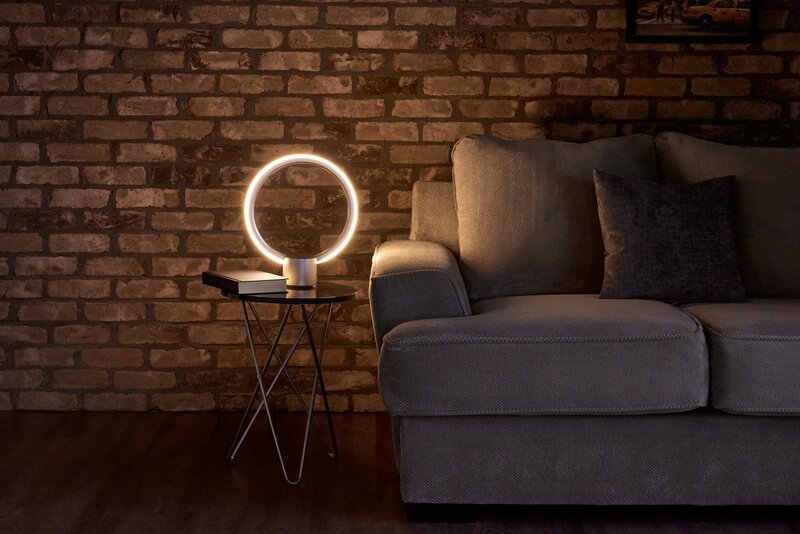 A brighter idea for smarter homes: The C by GE Sol is an all-in-one smart light that has the features, functionality, and voice control of Amazon Alexa. The industry’s first lighting product with Amazon Alexa integrated, the C by GE Sol is part of GE Lighting’s vision to unleash the power of your home, enabling you and your home to do more. 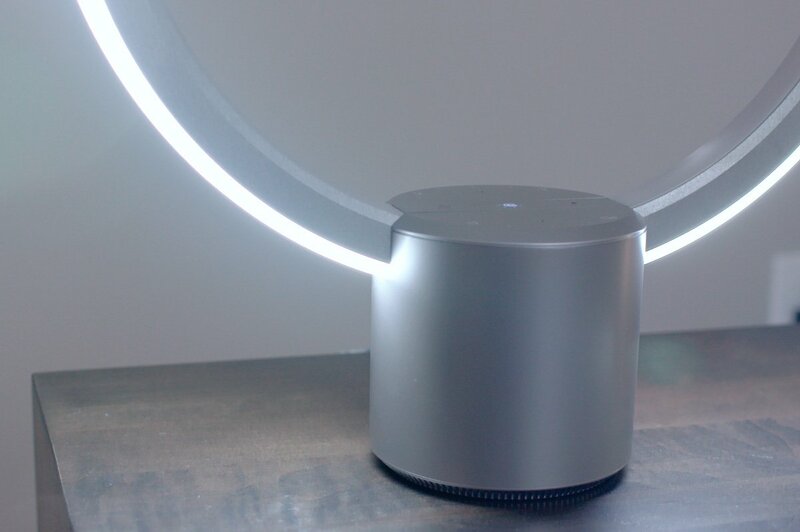 – Amazon Alexa Integrated: Featuring the functionality of a standalone Alexa device, the Sol by GE is wifi connected and allows you to use your voice to control lighting features, set timers, check the weather, tell time, and play music from your Alexa enabled music library. – Exclusive Features: More than a smart light, the Sol features visual cues for clocks and timers, manual and automated light temperature variation that allows users to select the perfect hue to fit a mood or to ensure a smooth sleep cycle. 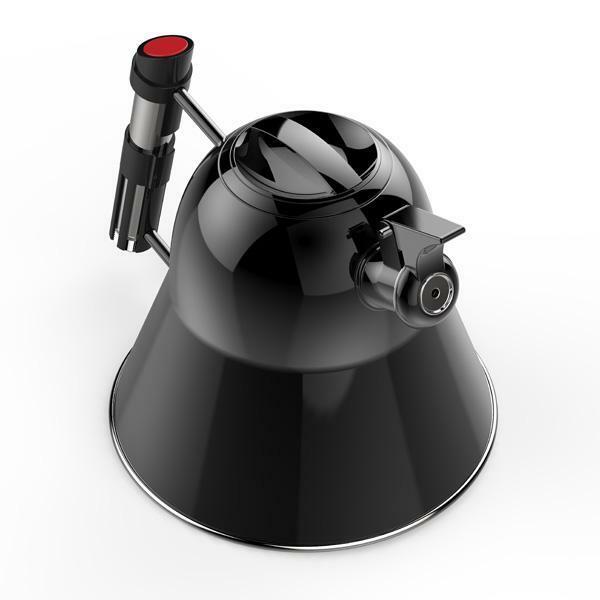 – Smart Lamp For Any Room: A perfect lighting solution for the office, the bedroom, the kitchen or living room. 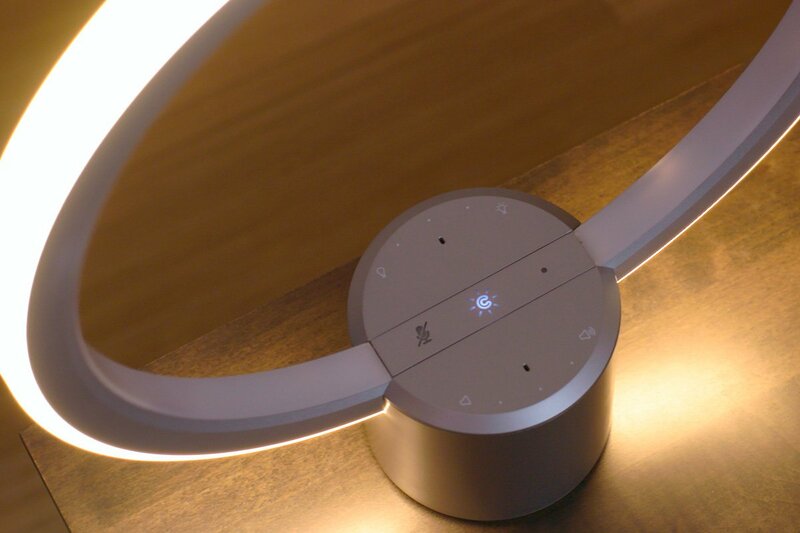 The C by GE Sol is a smart light that enhances the security and convenience of any room through voice control and scheduling via the C by GE app. – Smart Home Ecosystem: As an Alexa powered device, the GE Sol works seamlessly with a wide range of smart home connected devices and thousands of Alexa skills. Part of the C by GE family, the GE Sol connects directly with other C by GE products such as C-Life and C-Sleep smart light bulbs. 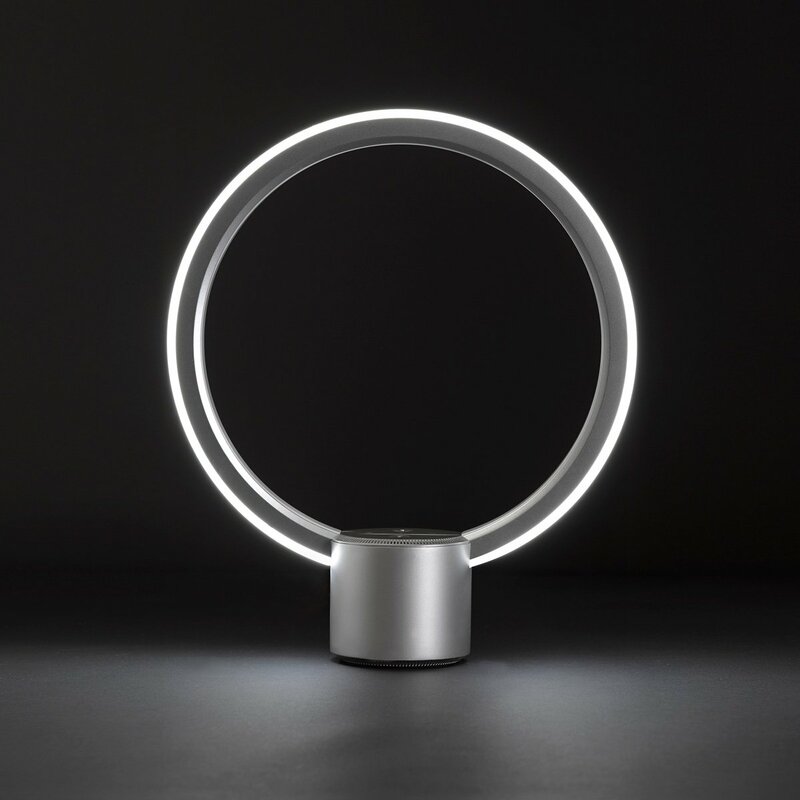 – Sleek Modern Design: The result of solar inspiration, the Sol by GE features a sleek design that acts as an aesthetic bridge between functional technology and interior design. Order HERE from Amazon for $113. 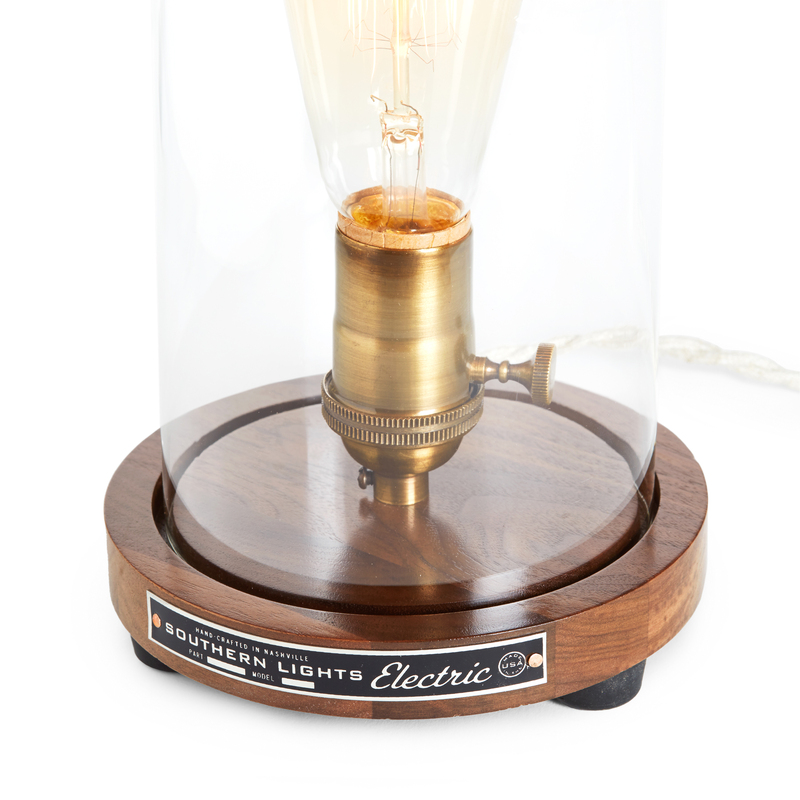 Handmade in Nashville, Tennessee, this table lamp is an ideal choice for an end table, office desk or just about anywhere in your home. 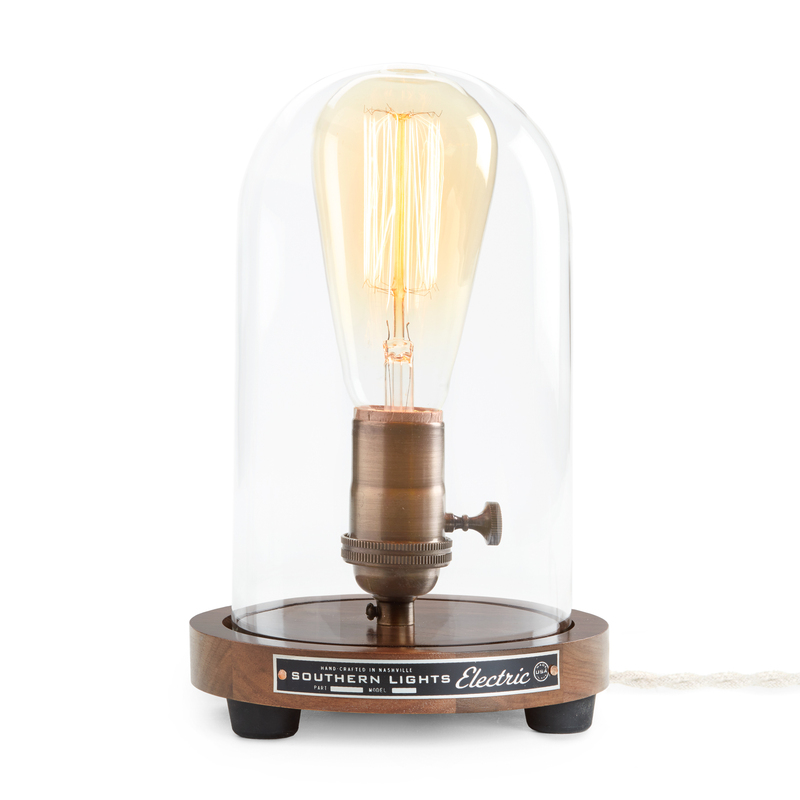 The lamp features a vintage style socket, cream cloth covered cord, and comes with an exposed old-school filament style bulb. The base is made of solid American Walnut and includes a hand silkscreened nameplate. ThinkGeek has created an officially licensed set of six Star Wars coasters that each feature a cross section of the Millennium Falcon. 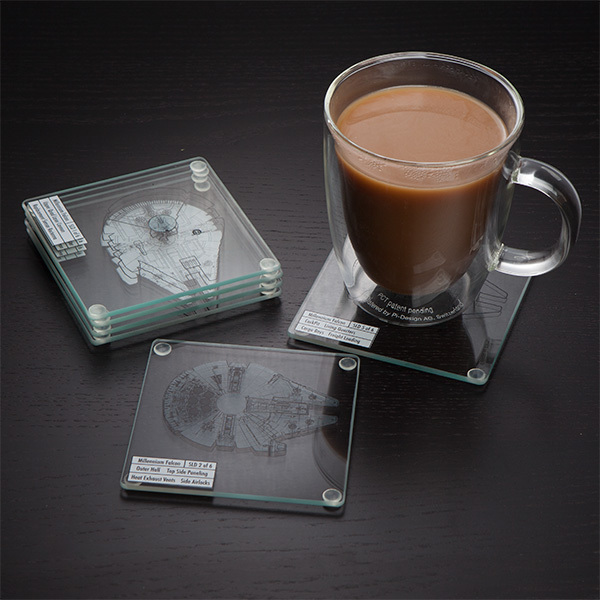 When the clear coasters are stacked up on top of each other, they reveal a 3D image of the popular Star Wars spacecraft. 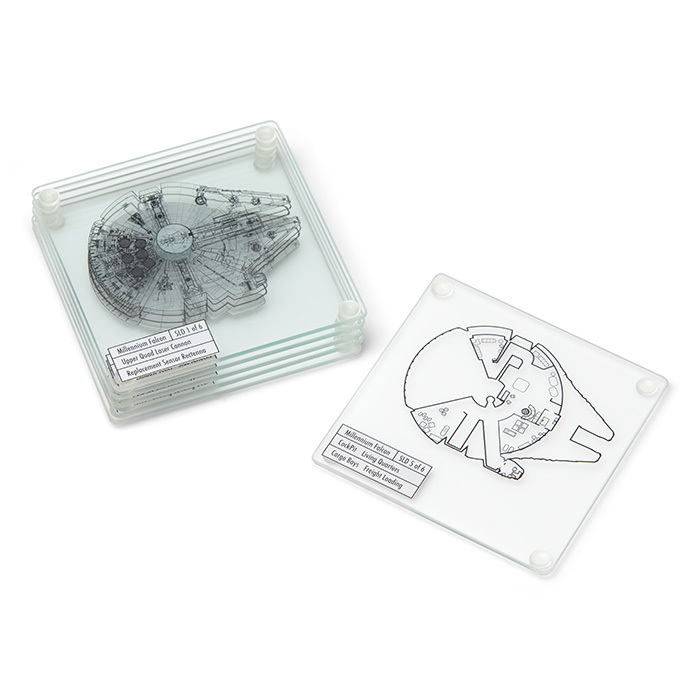 Bring the fastest hunk of junk in the galaxy to your place with this Star Wars Millennium Falcon – Coaster Set. 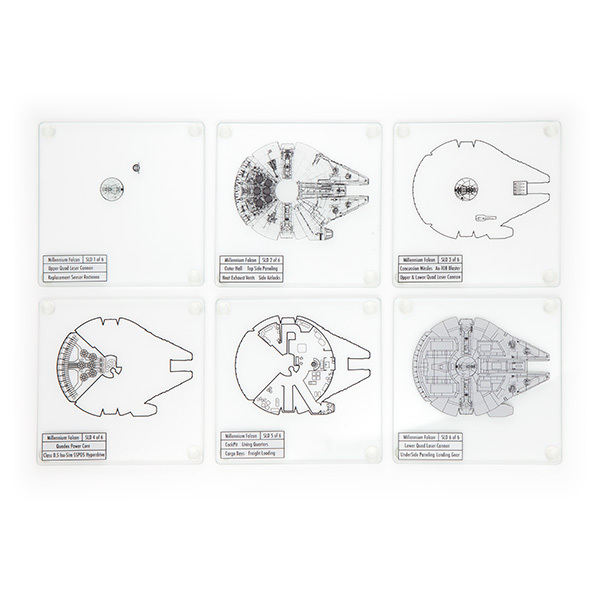 A set of 6 glass coasters, each features a cross-section of details from the Falcon herself. When stacked together, they build the ship in 3D. And individually, they protect your surfaces from condensation. Order the six pice coaster set HERE for $19.99. 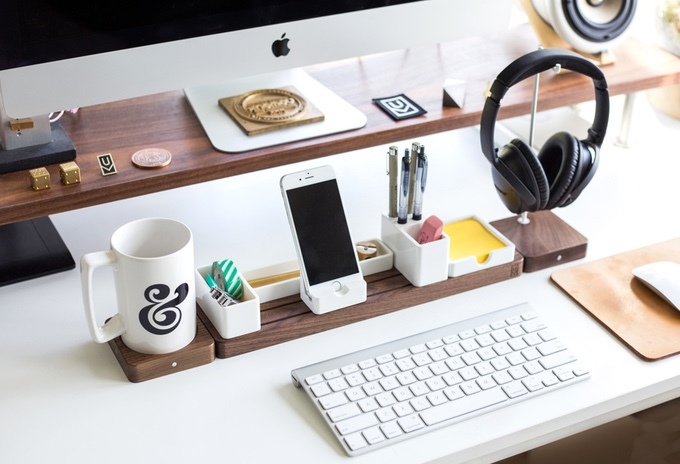 A handsome wood personal productivity center for your desk. 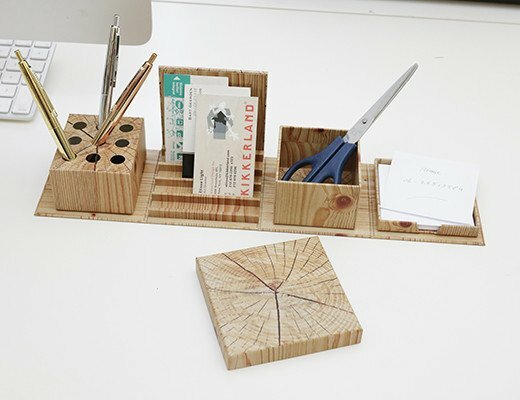 Wood box folds out into a handy desk organizer set. Order HERE for $20. Nearly every desk has the same problem: clutter. 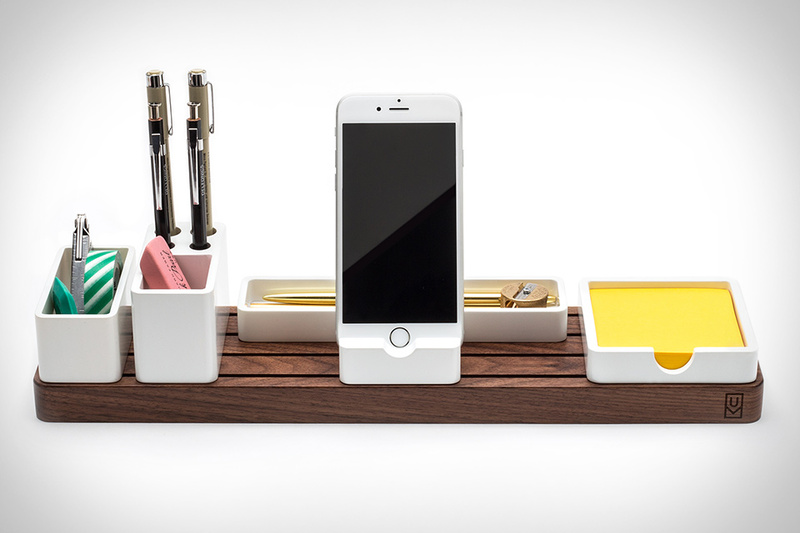 The Gather Desk Organizer is a well-made, well-designed way to keep all your essential tools handy while minimizing the mess. 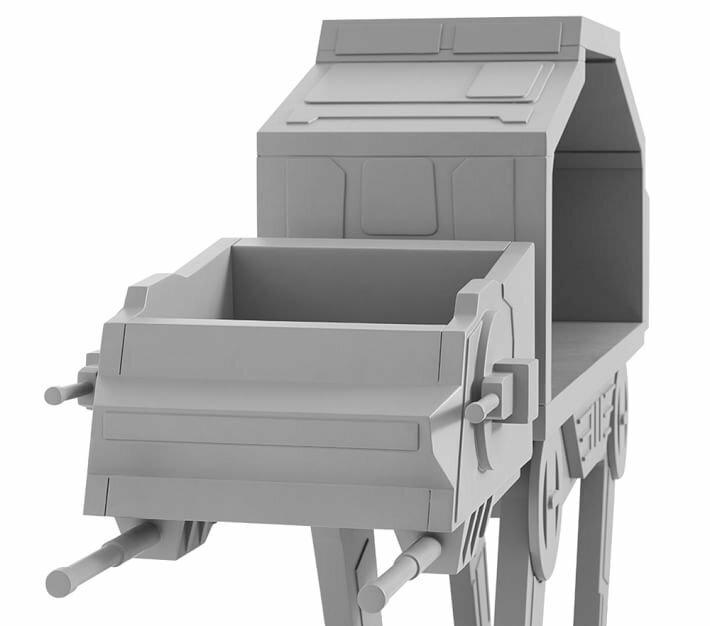 It starts with a solid walnut or maple base, with four slots on top to hold its modular attachments. 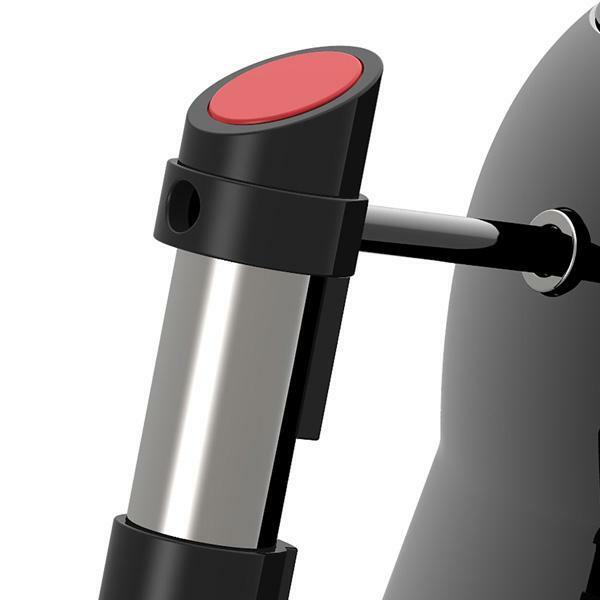 Those include a phone holder, trays, a pen holder, and a Post-It holder, and magnets in the base let you attach a coaster and even a headphone stand. You can easily move everything around to find a configuration that fits your needs, and even add a second base unit if you really have a lot of stuff. Pre-order from Kickstarter for $100+. 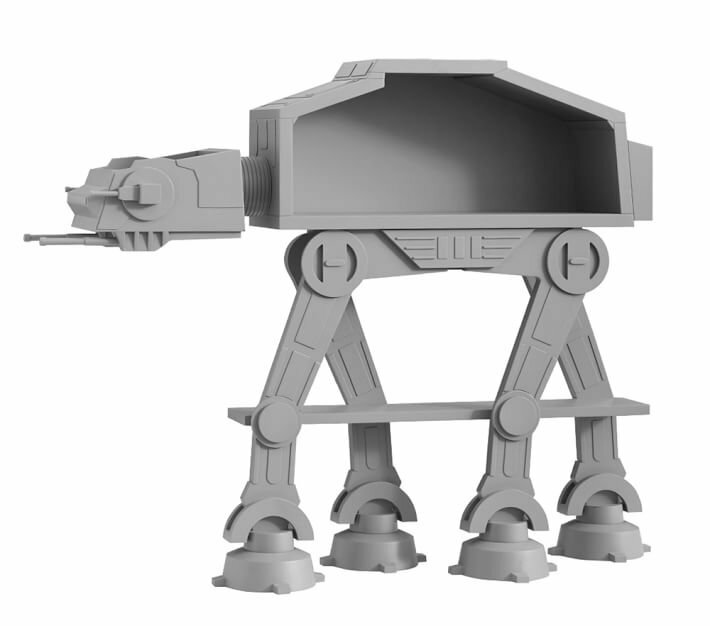 Little bookworms will love this AT-AT bookcase that is perfectly sized for their favorite stories and collections. 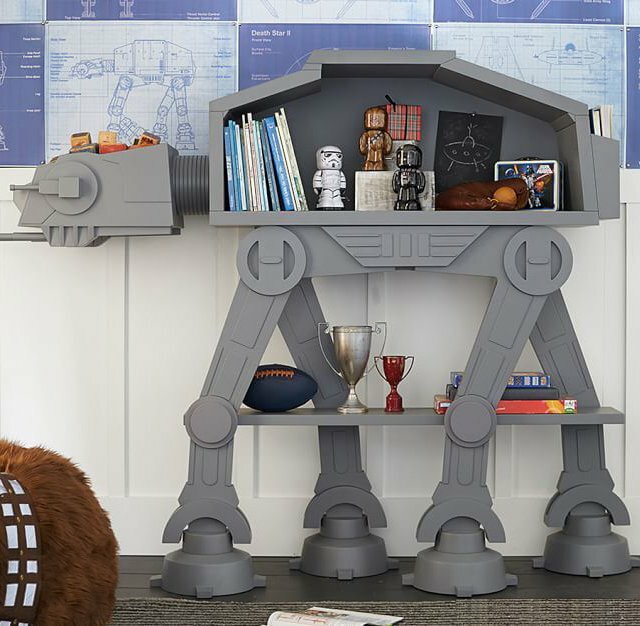 Featuring four sturdy legs, the iconic Star Wars character is perfect for both storage and storytime. Hand-painted with a charcoal finish and expertly crafted for lasting durability, it’s the perfect addition to a kid’s bedroom. 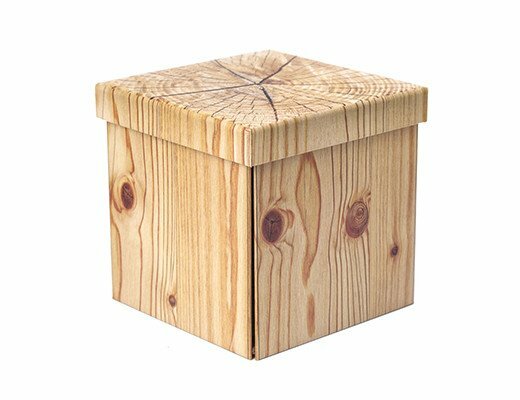 – Expertly crafted of solid poplar, rubberwood and MDF (medium density fiberboard), an engineered wood that lends exceptional strength and ensures that the furniture will endure over time. – Hand-painted in charcoal finish. 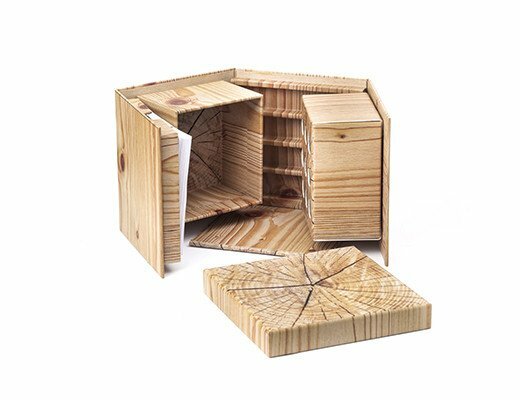 – Two fixed shelves for storage of your child’s treasures. – Shelf must be attached to a wall with enclosed hardware to prevent tipping.